Idea Factory International has announced that Super Neptunia RPG releases for the PlayStation 4 and Nintendo Switch in North America and Europe this fall. Thankfully, the name has been shortened and saved from the explanation point overload, as it was originally known as Brave Neptunia World! Universe! Pay Attention!! Ultimate RPG Declaration!! in Japan. 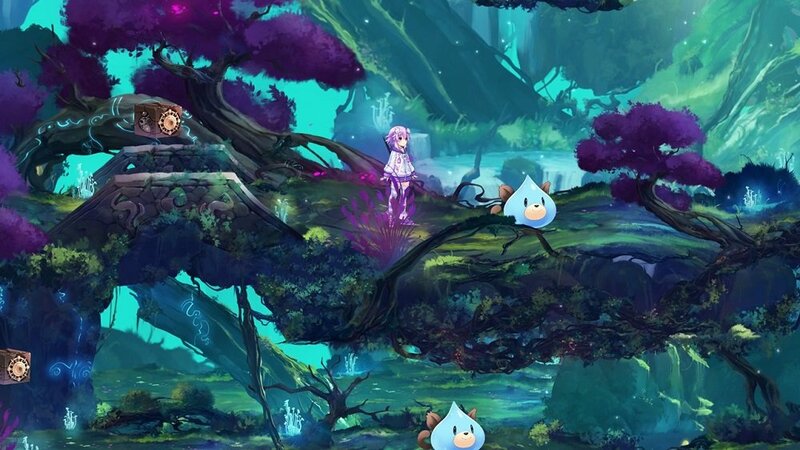 Super Neptunia RPG brings the world of Neptunia into the side-scrolling genre, with players taking part if turn-based battles. The game will feature Japanese and English voice-over options, as well as English and French subtitles. Old School Dungeons! – Explore gorgeously painted, interactive dungeons in a style inspired by classic gaming titles. Follow the Leader! – Enter turn-based battles where the party’s attack style changes based on the battle leader. Switch leaders on the fly, transform mid-battle, and use elemental attacks to maximize your team’s strategy! Save Gamindustri! – In a time where retro gaming and 3D graphics are at polar ends, this story delves headfirst into the debate for a self-aware ribbing of gaming culture. 2D Comes to Life! – The hand-drawn art of Neptunia series artist Tsunako is brought to life by Artisan Studios, showing the characters in a whole new way! Right now, Super Neptunia RPG is slated to release this fall for the PlayStation 4 and Nintendo Switch. We will update you with a release date once it is revealed. Are you looking forward to this game?